Geoff has worked as a Event Producer, Production Manager, Lighting Designer, Set Designer, Public Artist and Venue Designer. His work has ranged from many smaller innovative productions at the; Performance Space, Queens Theatre, Belvoir st, Red Shed and non theatre venues ( tents, warehouses,etc), to large scale theatre/dance productions, Festivals, Art Exhibitions, Events, Museums and Venue creation. His love of light and dance has led him to work with many of Australia’s top choreographers and allowed him to explore the endless combinations of colour, angle, intensity, and movement, of light. With his company Bluebottle he has designed many lighting installations and lit public artworks, buildings, landscapes and freeways.He received a Churchill Fellowship in 2010 to study Outdoor Theatre in Europe. This led to the creation of Barrio; inspired by the “participatory theatre” movement currently sweeping Europe. Finding innovative ways to involve community and other industry in Events was at the heart of Barrio. It’s success was in the unique way it gave its audience ownership of the event. Geoff has been working on Festivals since the late 80s when he began working for Sydney Festival. He subsequently went on to become an integral part of the senior management team of The Sydney Festival, The Adelaide Festival and Womadelaide Festival. Mark began his career as a Production Manager and Lighting Designer, for Theatre and Events in the early 1990’s and he has continued to work not only as a designer and Production Manager for the entertainment industry but has expanded his skills across a range of other fields including Film and Architectural lighting Design. He has developed a proficiency in a range of Autodesk products and other creative software. He specialises in the programming of the leading lighting and audio-visual playback software systems. He has been involved over the years with a great number of the major national theatre companies and festivals as well as event management organisations. 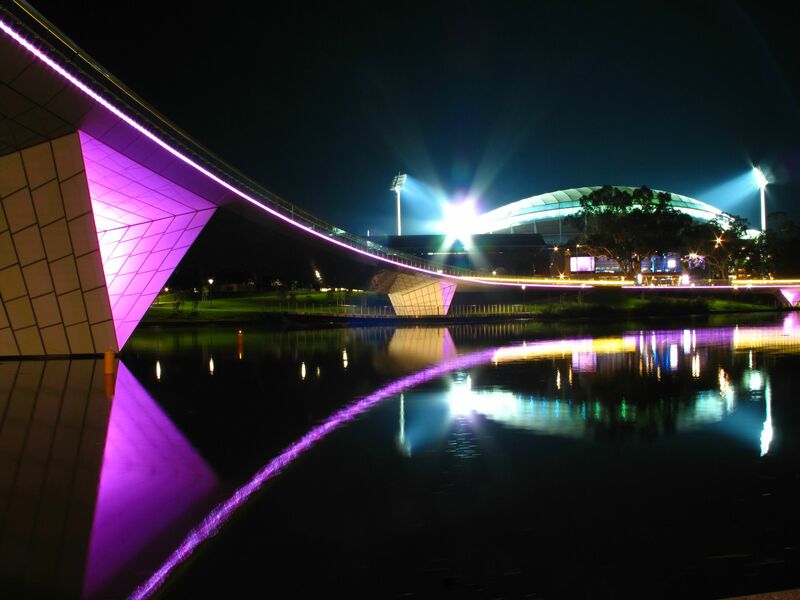 He most recently managed the technical installation of the Blinc Audio-visual project for the Adelaide Festival, and is responsible for programming the Adelaide footbridge and other lighting installations around the city. Chris has worked with State Theatre Company of South Australia on The Kreutzer Sonata, Maggie Stone and Little Bird. Chris is also the Audio Visual Designer for our 2015 production Masquerade which premiered at the Sydney Opera House in January and will open as part of the Adelaide Come Out Festival in May. Chris has completed designs for Slingsby Theatre Company’s The Mouse, The Bird and The Sausage. Windmill Theatre Company’s Big Bad Wolf and Story Thieves. Torque Show’s MALMÖ, The Border Project’s Half Real, Ludwig’s Fleck and Flecker, five.point.one’s Muff and a multimedia performance project for Country Arts SA called If There Was A Colour Darker Than Black I’d Wear It. Chris has also worked in association with Geoff Cobham on a number of projects including creating the visual aesthetic for Force Majeure’s Never Did Me Any Harm using light and video.